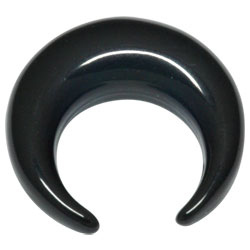 Stretching your ears is a safe but dramatic way to modify your appearance. As with any body modification it is important to do it safely, using a method that gives you the best possible chance of a good, healthy result. Today I will explain the basic method of how to stretch your ears. This method is what has worked for me personally, combined with the advice of experienced piercers. As with any modification, it is important to listen to your own body – if something does not feel right, stop immediately. Also, if you are unsure about how to stretch your ears or have more questions, I suggest consulting a professional piercer to make sure you are completely confident. 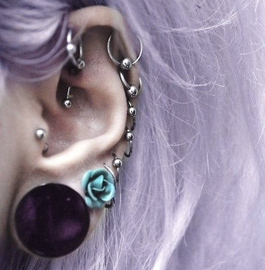 Most piercers will be happy to help. For the purposes of this tutorial, I have assumed that you already have your ears pierced. This method is intended for ear stretching only and should not be used for other piercings – if you want to stretch any other body piercing, please consult a professional piercer. So let’s get started! 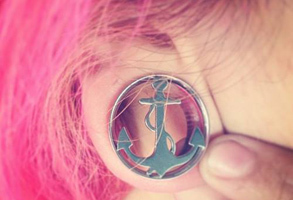 Before you can stretch your ears, you will need to determine the current gauge of your ear piercings. If you had your ears pierced with a gun, they were probably pierced at 1mm, whereas if you went to a piercing studio they are more likely to have been pierced at 1.6mm. For this post, I will be sticking to measurements in millimetres, which is standard in the UK and Europe. 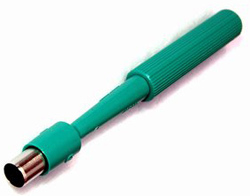 In the USA, they use a wire gauge system. You can view the gauge equivalents of any millimetre size using our BJS Gauge/Thickness Chart. It is important that your piercing is fully healed before you begin to stretch your ears – usually 4 to 6 months. Your piercing may feel ready much earlier than that, but even ear piercings take a long time to heal and you risk permanent damage if you begin stretching before your piercing is fully healed. 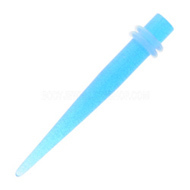 Surgical steel stretching tapers are the easiest and safest tools for ear stretching. They allow you to ease up to the next size and are easy to keep clean. 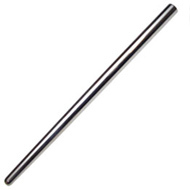 You can also use acrylic tapers, but they are harder to keep clean. You should stretch just a couple of millimetres at a time, so buy a stretching taper 2 or 3 millimetres bigger than your current gauge. Using a lubricant will make the stretching process easier and more comfortable. It also reduces the risk of tears and blowouts. I recommend using a natural oil for lubrication. Some people use petroleum jelly but it is more likely to harbour bacteria, so I would stick to oil. Jojoba oil, hemp oil, Vitamin E oil or plain old olive oil are all good options. 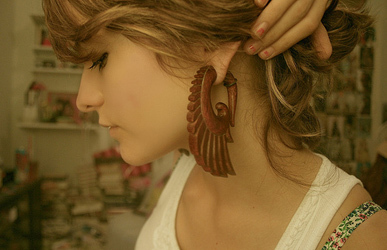 You will need some jewellery to wear once you have passed the stretching taper through your ear. 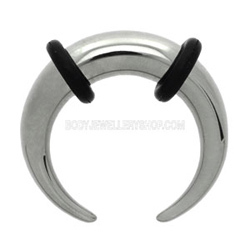 Your jewellery should be the same gauge as your stretching taper. I recommend an unflared flesh plug. 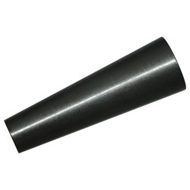 A steel flesh tube is ideal. 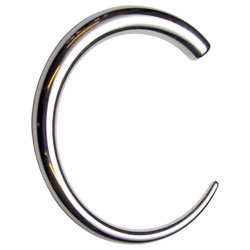 Because you are using unflared jewellery, you will need 2 O-rings to keep it in place – here at BJS we include free O-rings with all our unflared jewellery. Make sure that your tapers and jewellery are clean and dry before you start stretching your ears. Obviously you should also wash your hands and have everything laid out before you start. 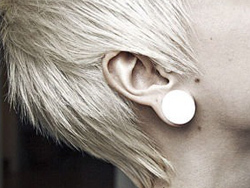 Check back next Wednesday for Part 2, where we’ll talk about how to start stretching your ears! This entry was posted in Body Piercing Education, How To Stretch Piercings and tagged Ear Stretch, Ear Stretching, Ear Stretching Guide 101, Ear Stretching Risks, How To Stretch Your Ears on February 5, 2014 by Piercing Guru.